This Sept. 22, 2016, file photo shows a Rite Aid pharmacy in New York City. The privately held owner of Safeway, Vons, Acme and other grocery brands is plunging deeper into the pharmacy business with a deal to buy Rite Aid, the nation's third-largest drugstore chain. Albertsons Companies is offering either a share of its stock and $1.83 in cash or slightly more than a share for every 10 shares of Rite Aid. A deal value was not disclosed in a statement released Tuesday by the companies. Shares of Rite Aid, which have shed more than half their value over the past year, surged 26 cents, or 12.2 percent, in premarket trading after the deal was announced. Shareholders of Boise, Idaho-based Albertsons will own more than 70 percent of the combined company, which is expected to trade on the New York Stock Exchange. The companies say the deal should close in the second half of this year, but regulators and Rite Aid shareholders still have to approve it. Rite Aid Chairman and CEO John Standley will lead the combined company as CEO, while Albertsons leader Bob Miller will serve as chairman. The companies say they will keep headquarters in both Boise and Camp Hill, Pennsylvania, which is where Rite Aid is based. Albertsons said it will continue to run Rite Aid stand-alone stores, and most of the grocery operator's pharmacies will be rebranded as Rite Aid. Albertsons also runs Jewel-Osco, Shaw's and Acme stores. Rite Aid Corp. said earlier this year that it runs around 4,400 stores. Larger rival Walgreens had tried unsuccessfully to buy the chain, but the company scuttled that push last year after encountering regulatory resistance. Last September, Walgreens agreed to buy nearly 2,000 Rite Aid locations and some distribution centers for about $4.38 billion. 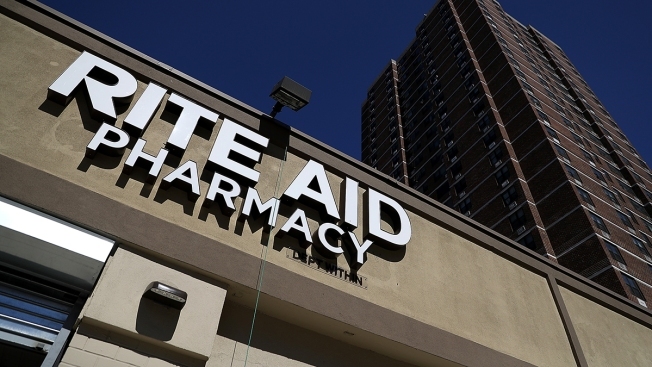 Rite Aid said late last month that it had transferred about 625 stores to Walgreens.